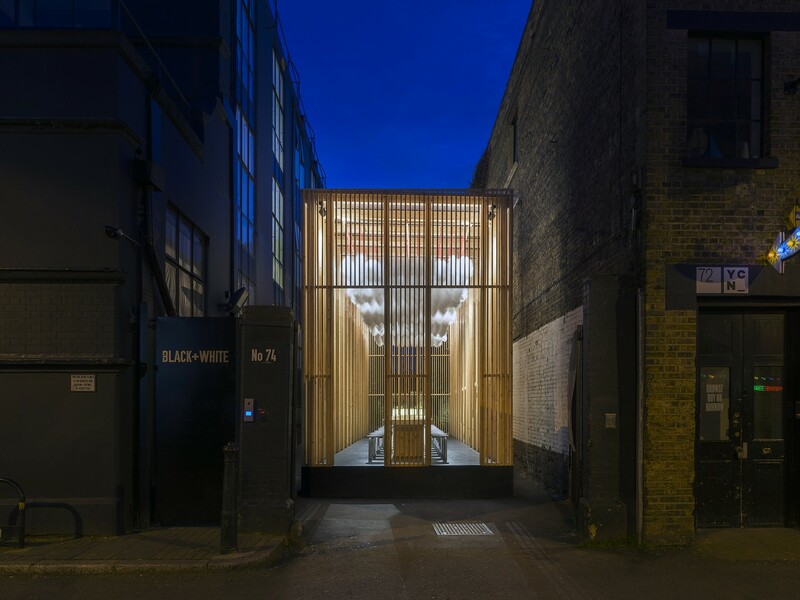 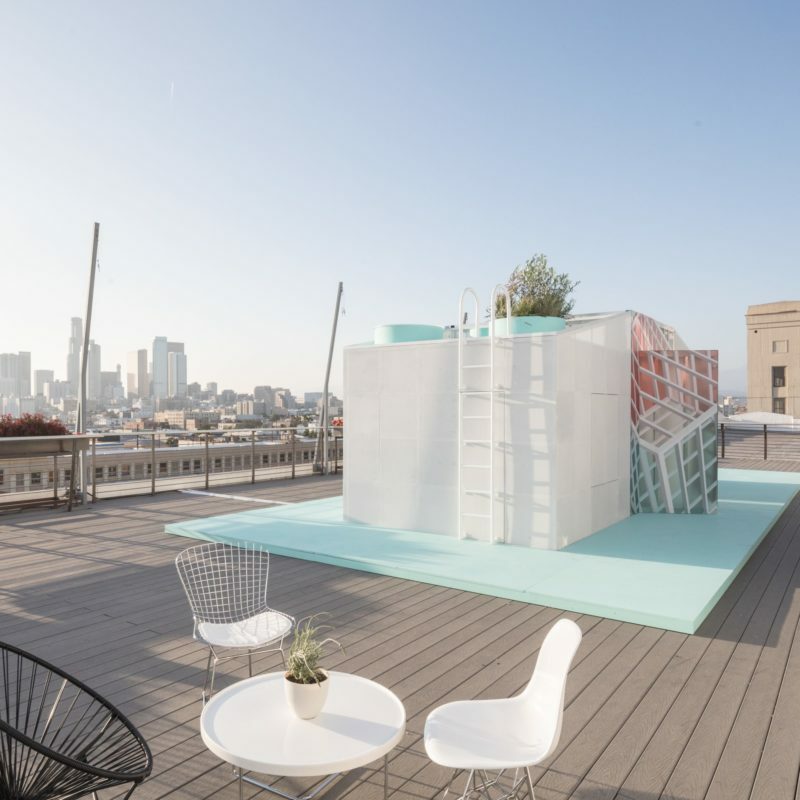 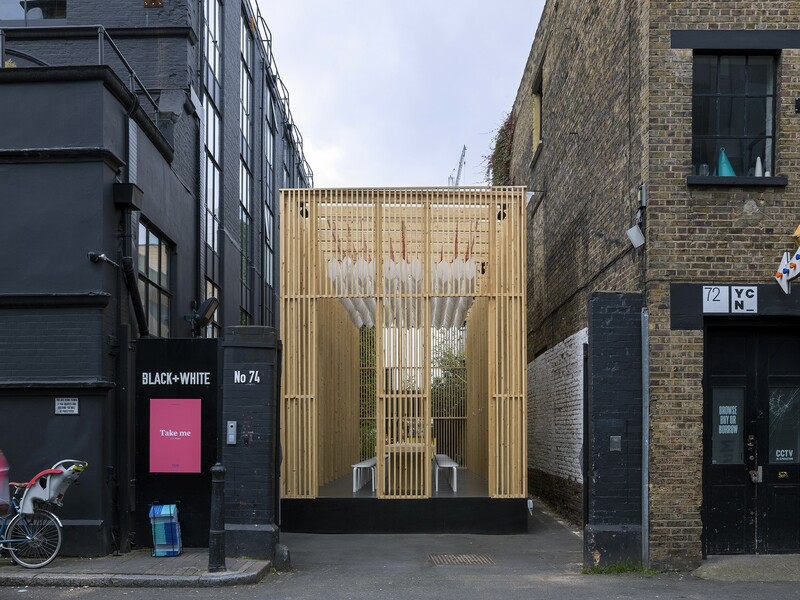 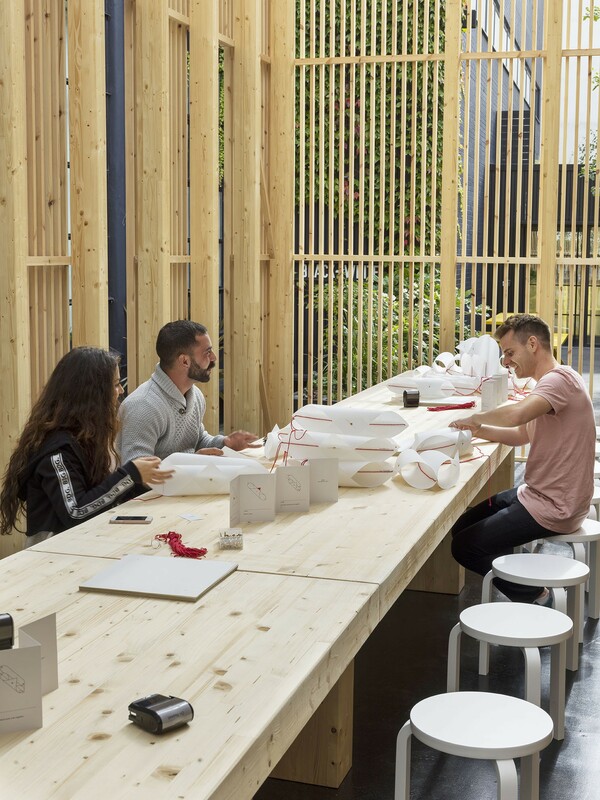 Universal Design Studio has collaborated with London-based co-working company, The Office Group to create a public architectural pavilion for London Design Festival. 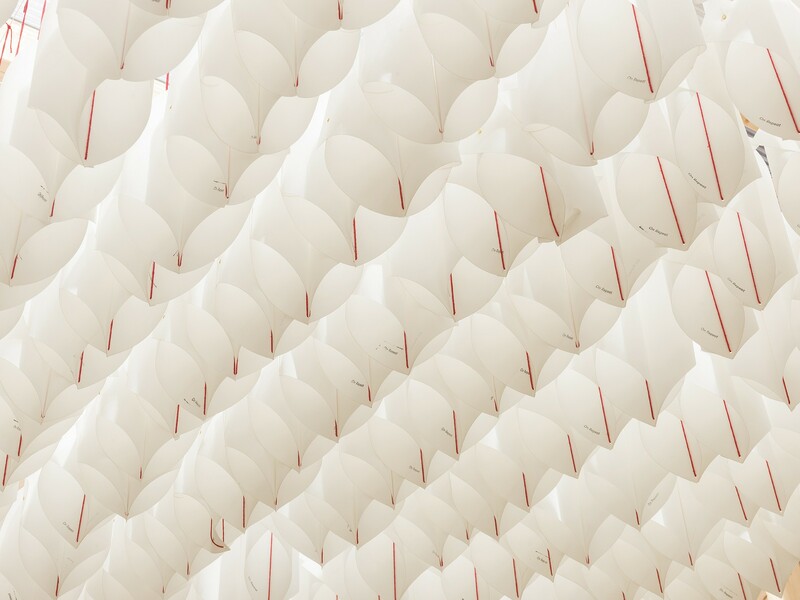 The concept for On Repeat was born from the ability of visual pattern and physical repetition to induce a state of mind known as ‘open awareness’; a form of attention achieved by the repetition of manual tasks which allow the mind to wander and creative thinking to flourish. 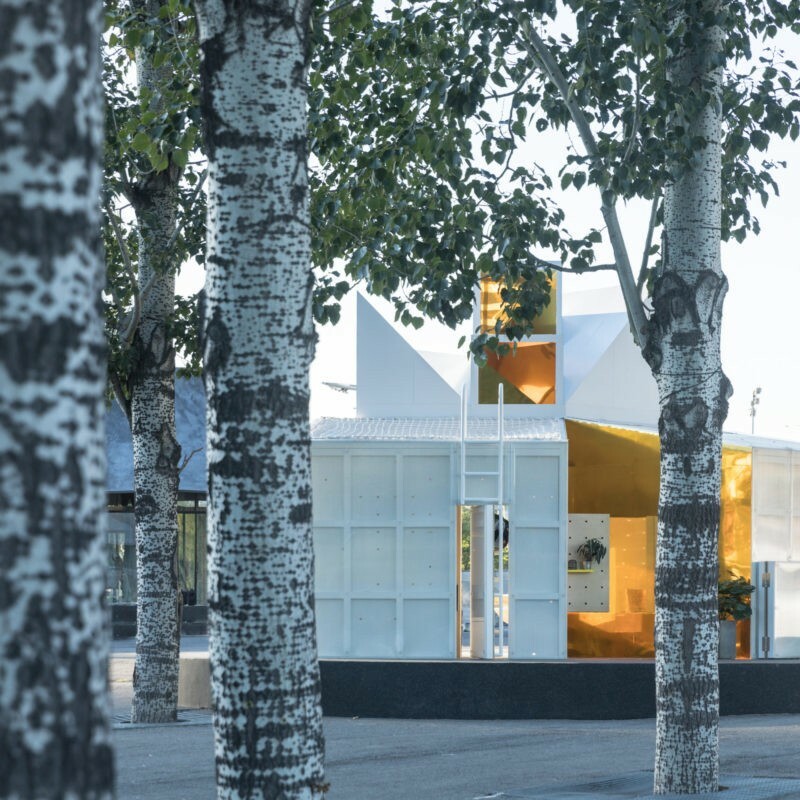 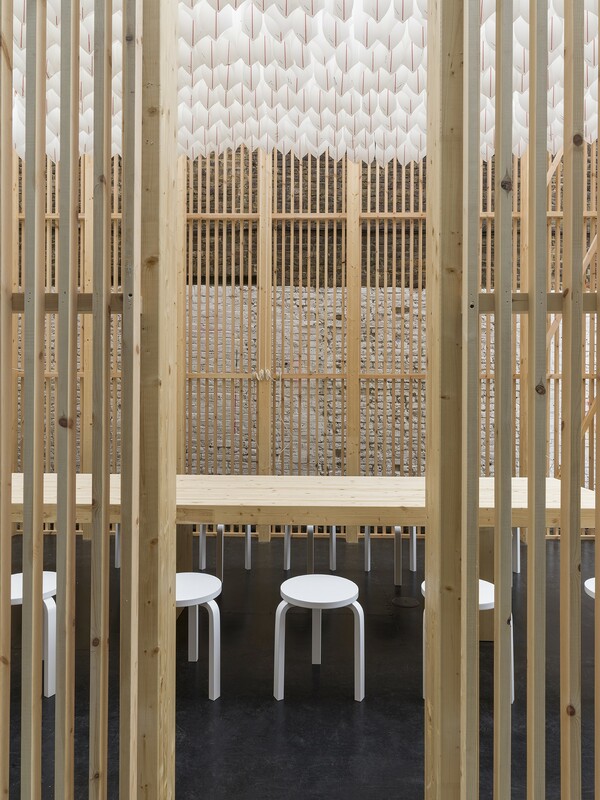 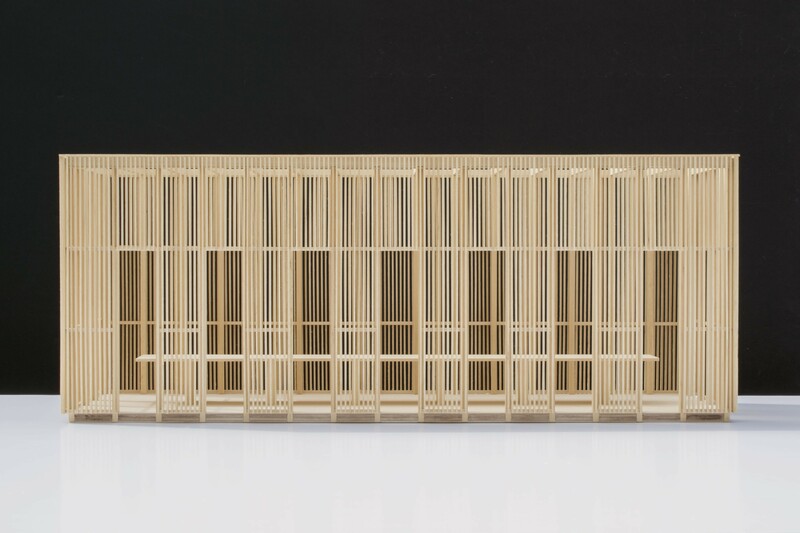 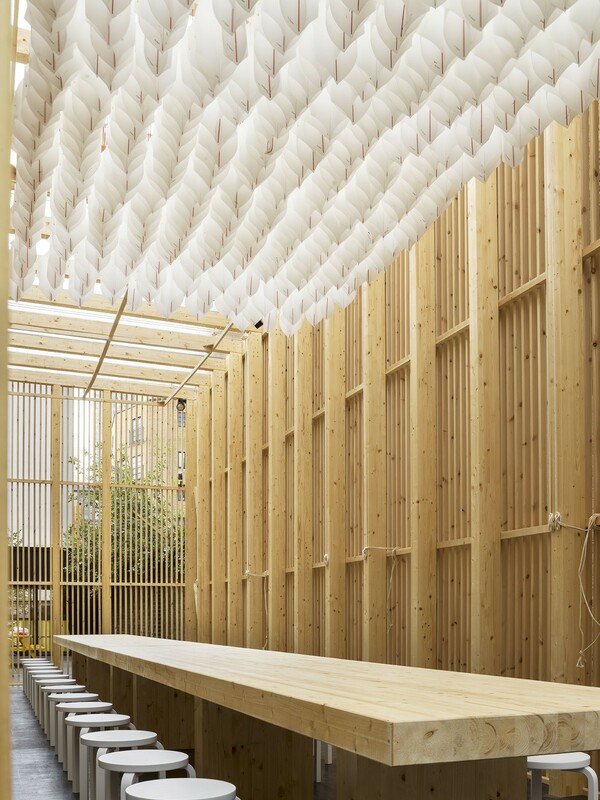 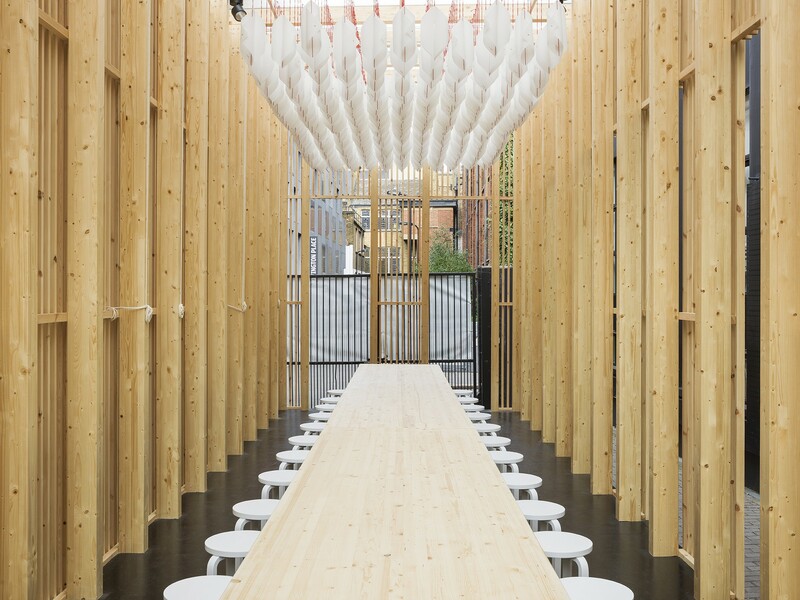 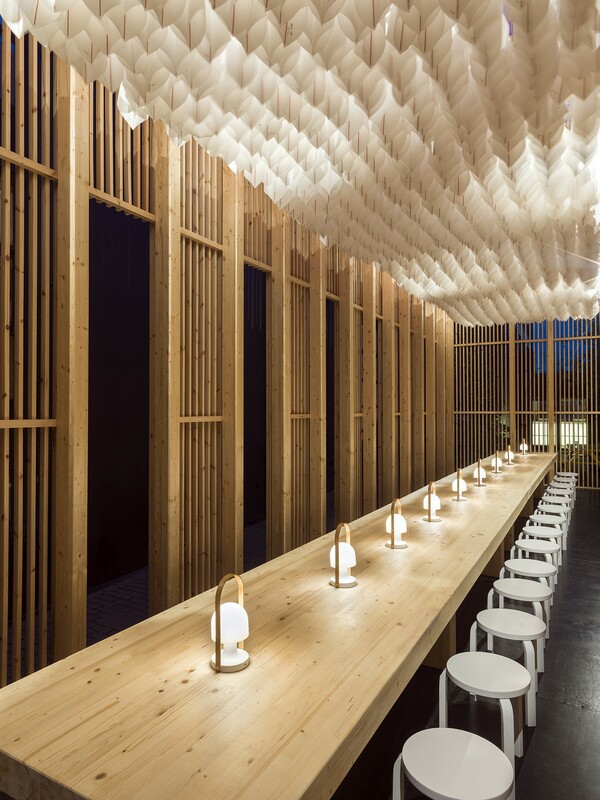 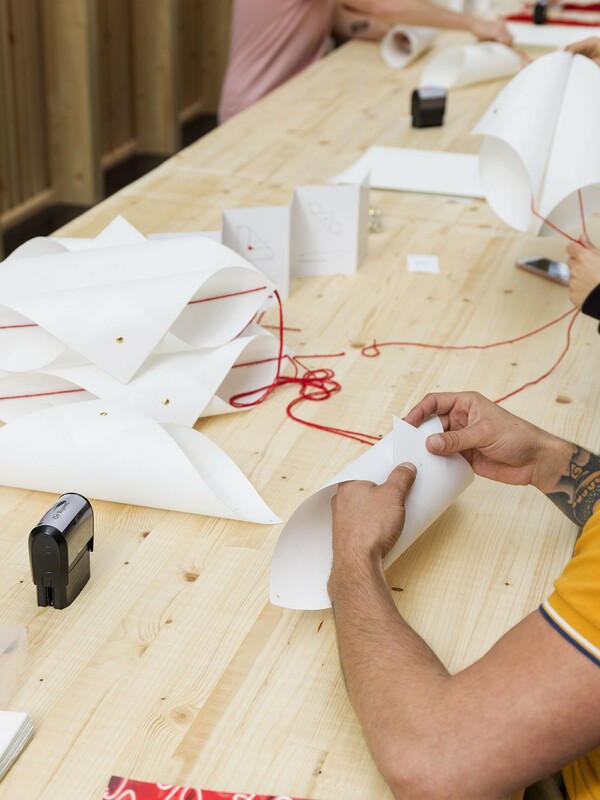 The pavilion’s form physically manifests repetition in its architecture but also through a collaborative installation of hundreds of paper forms, the components of which require manual assembly by visitors over the course of the festival. 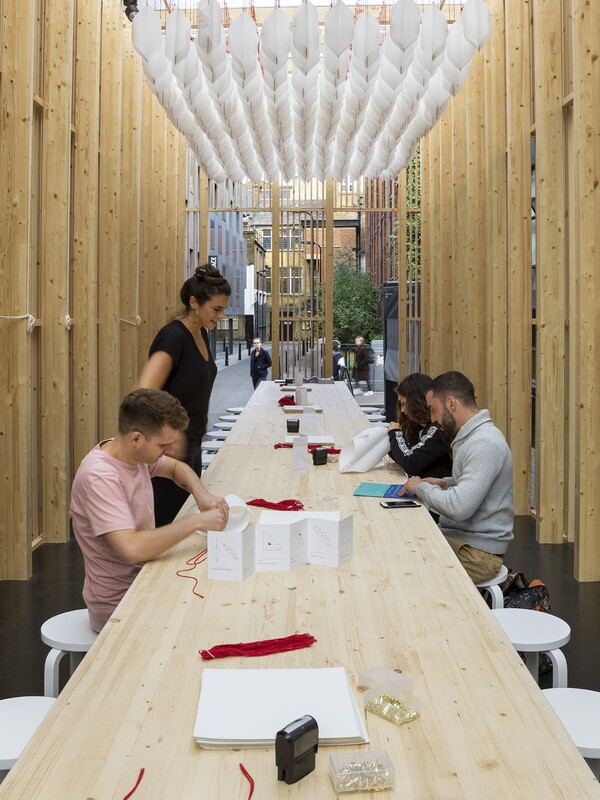 During the festival, On Repeat was home to a programme of free events and workshops that explored the power of frequency and repetition, designed to give visitors the opportunity to temporarily depart from everyday work life and reach a free-flowing mind-set. 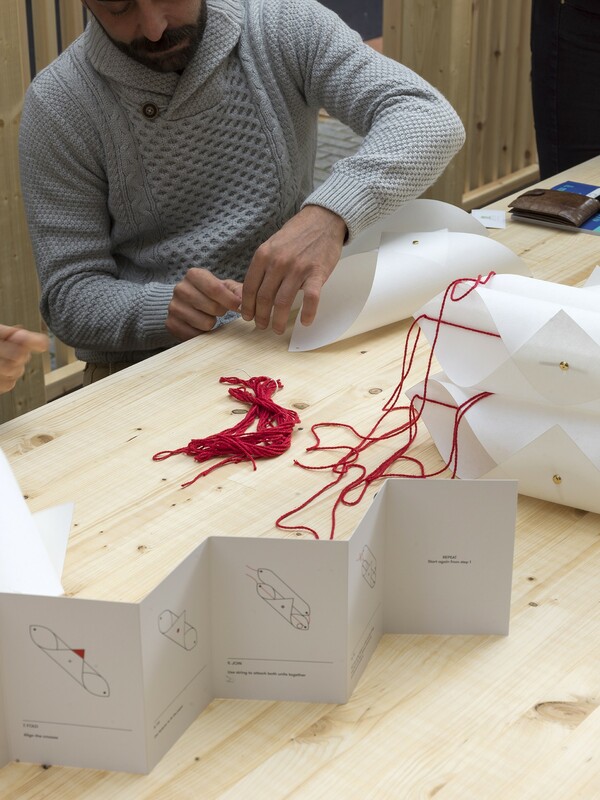 Activities hosted during the week engaged visitors in an array of repetitive manual tasks, from sushi making to meditative breathing, to woodcutting, while a series of talks investigated the impact of repetition on our brains, bodies and lives. 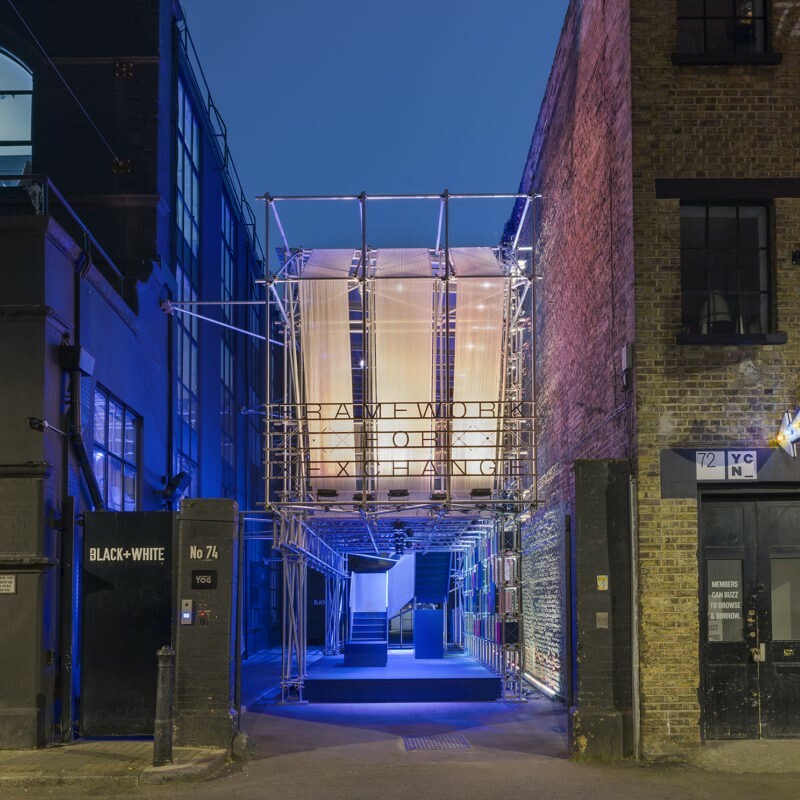 The pavilion will be relocated to Tintagel House in Vauxhall.